I’m an east coast girl at heart, but I’ve never been in love with east coast beaches. All that sun and sand, and all those people trying to inch onto your blanket space. I may have enjoyed it when I was in high school, but those days are long gone. Luckily we had a chance to take an Oregon Coast road trip not too long ago, and that changed everything for me. I’m a convert — totally in love with the rugged cliffs and pounding waves of the Pacific Northwest. 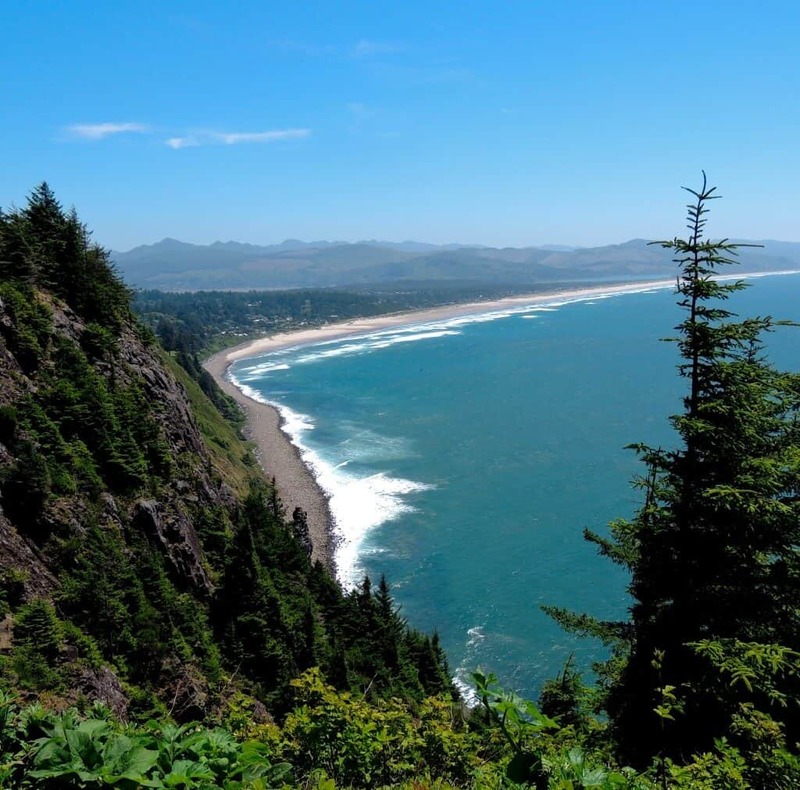 One of our all-time favorite road trips is on Oregon Coast Highway 101, also known as the Pacific Coast Scenic Byway. It’s the perfect road trips for outdoor lovers, as there are ample spots to stop along the route for hiking and camping. Here are some of our favorite outdoor adventures from our Oregon Coast Road Trip. We started our Oregon Coast Road Trip on Highway 101 in Washington, headed south, and our first stop was the Lewis and Clark National Historic Park in Astoria. Our family had spent the previous year learning about the journey of Lewis and Clark and their perilous trek across the west from 1804 to 1806. We were on our own monumental journey, traveling 10,000 miles by car in just two months, but I guess that’s where the comparison ended. We faced none of the hardships that this crew faced, but we did enjoy walking in their footsteps for a brief time. In Montana, we stopped at the Lewis and Clark Interpretive Center, which focused on their month-long portage around the massive falls, but that’s a story for another day. The Lewis and Clark National Historic Park in Oregon celebrates the end of Lewis and Clark’s journey. How exciting that must have been for them catch their first glimpse of the Pacific Ocean after two years of roughing it in the wild west. We visited Fort Clatstop, a replica of the winter encampment built by the Corps of Discovery in 1805. We visited during the peak season, and the reenactors put on quite a show for us, showing us how to make candles, play traditional games, and tan buckskin. Tips for Visiting the Lewis and Clark National Historic Park: The park is open every day except Christmas Day, but you’ll only find costumed reenactors during the summer months. 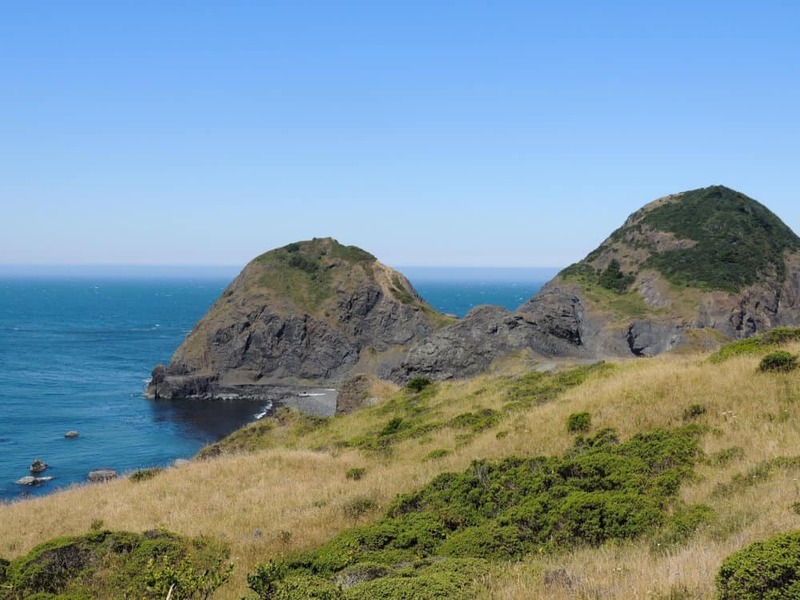 I recommend hiking the Fort to Sea Trail, which takes you on a gentle hike through deep woods and sandy dunes to the very beach where Lewis and Clark found the Pacific Ocean they had been searching for. The hike is a little over six miles, one-way, but it’s quite easy to call a cab that will meet you at the beach and bring you back to your car. Camping Near Astoria, OR: Fort Stevens State Park is just north of Fort Clatsop, right off of Oregon Coast Highway 101. It’s a huge park with 170 campsites, yurts, cabins, bike rentals, and freshwater swimming. A highlight was visiting the wreckage of the Peter Iredale, a steel barque that went down off the coast in 1906. If I could go back and do this trip again, I would spend two or three nights in the park. There’s so much to explore. Rockaway Beach – This is a quiet little beach, more of a wayside, actually, but the views are pretty magical, and even in the summer, there were hardly any people exploring the shore. Lookout State Park – Another awesome beach with fabulous hiking trails, and luxurious camping cabins if you’re not into roughing it. Devil’s Punchbowl – It’s a naturally carved rock bowl that’s partially open to the Pacific Ocean. You can hike to the bowl, climb around the rocks, and visit the nearby tidepools. Driftwood Beach State Recreation Site – Another quiet, flat, and sandy beach, this is the perfect spot to watch the sunset over a picnic dinner. Cape Perpetua Scenic Area – We loved visiting the rocky headlands here, and in some places, the forest comes right down to the sea. Found in a sea cave. What is it? View after view after view! 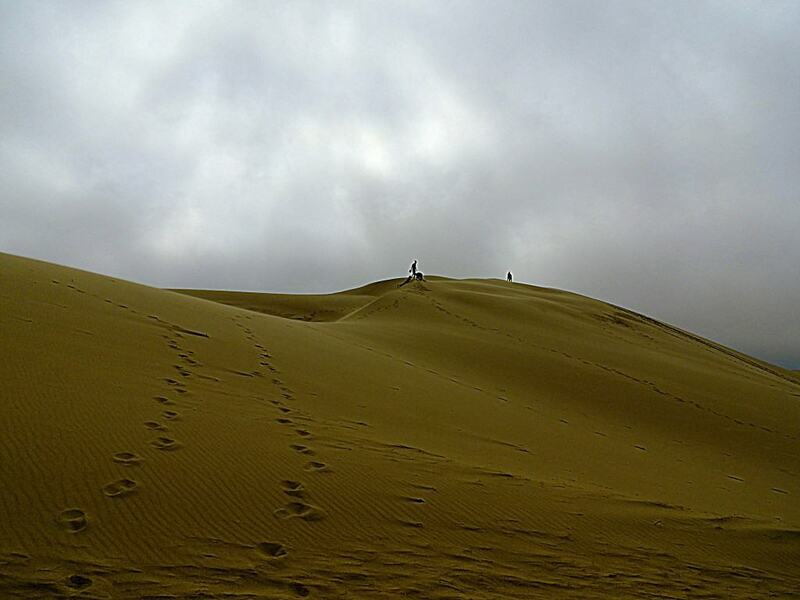 These incredible dunes were amazing to behold. We saw them on the map and decided to check them out, but we had no idea at the time how massive and sprawling they would be. We stayed in a little federal campground with great amenities. I wish I could remember the name of it, but it was right at the base of the dunes. As we were setting up camp, we still had no idea as to the scope of the ever-changing landscape we would discover. A steep trail led from our campsite to the top of the first dune, and once we cleared that one, it was just miles and miles of mountainous sand, as far as we could see. There were no trails, and the wind quickly wiped away our footprints, so we had to be really careful not to get lost. We kept thinking we would find the ocean if we kept walking west, but we never did. Instead we felt like we were that “bear went over the mountain” song. 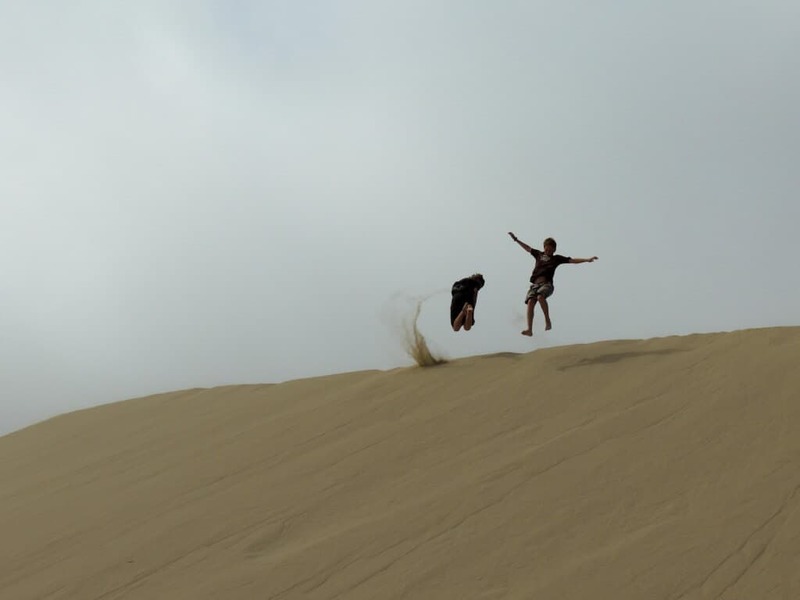 We’d climb one dune and there would be miles and miles more in front of us. Tips for visiting Oregon Sand Dunes: Just like going to the beach, you should be prepared for sand in everything – pockets, sleeping bags, shoes, and meals. There are sandboard rental shops all over the place here, but we never gave it a go. It looks like a lot of fun. Also, there were whole sections of the park dedicated to dune-buggies, and that part of the park was really busy and really noisy. We stayed in a more serene area. This place was definitely one of the highlights of our Oregon Coast road trip. 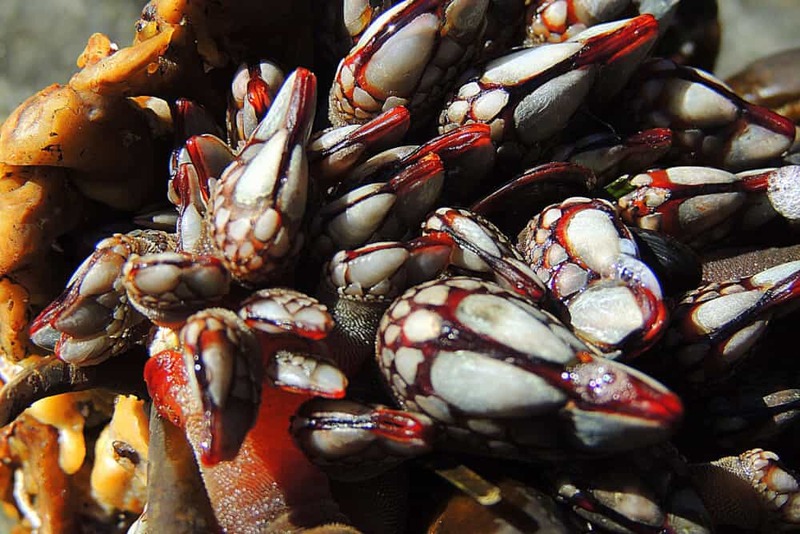 Scenic Oregon Inspiration – Check out some gorgeous Oregon photos and read about one travelers experience exploring and photographing the coast over at My Suitcase Journeys. 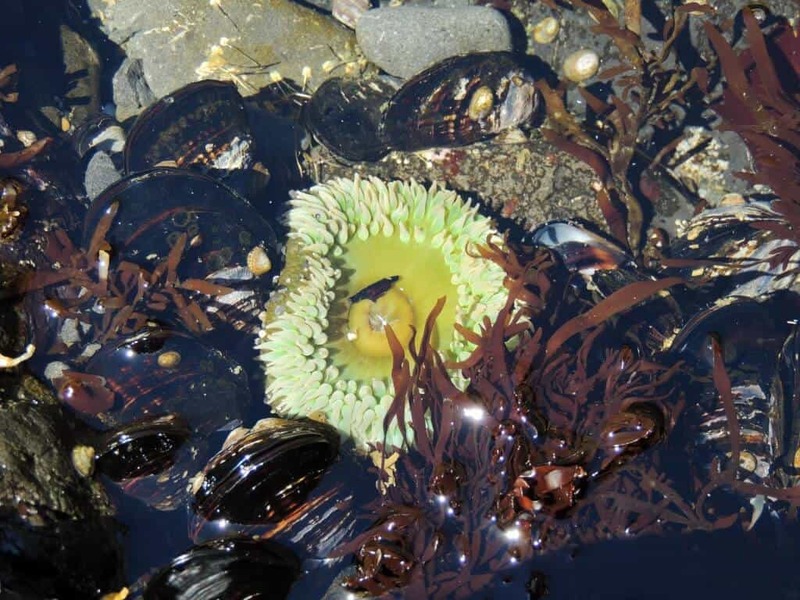 Oregon Coast Visitor’s Association – This is a great resource for starting your research. The Visit the Oregon Coast website has lots of info on what to do and where to stay, as well as an overview of cities you might want to check out. Oregon Coast Camping – Camping is almost always our preferred way to travel. We definitely recommend the campgrounds mentioned in the above post, but we obviously couldn’t visit all of the cool places we saw to camp. 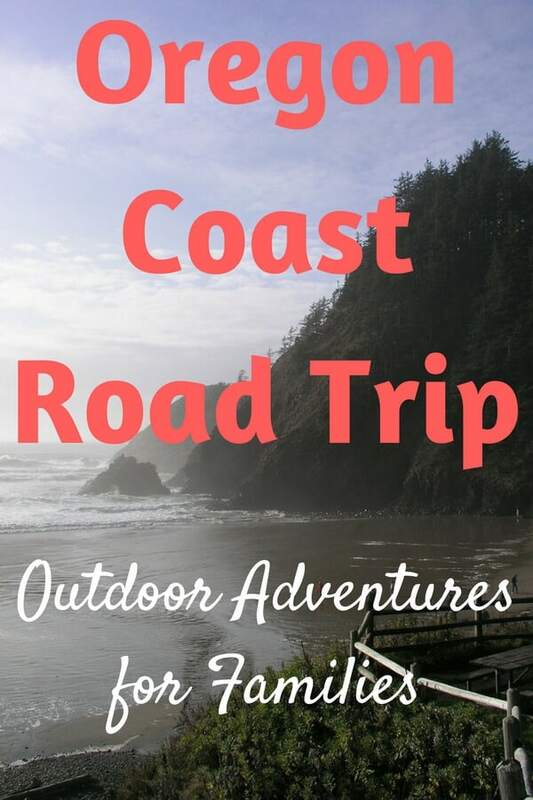 That Oregon Life has some great recommendations for Oregon Coast Campgrounds that we’ve never been to. Time for another road trip? Oregon Coast Vacation Rentals – AirBnB is our booking platform of choice for vacation rentals, and they have some drool-worthy options on the coast, starting at $49 per night! Oregon Coast Hotels – Sometimes hotels are the way to go, especially if you’re looking for something last minute. We have great luck finding good deals on Trivago, and we were excited to see rooms for under $60, although the waterfront hotels are significantly higher. Oregon Coast Hiking – If you’re anything like me, your going to want to break up car time with trail time. 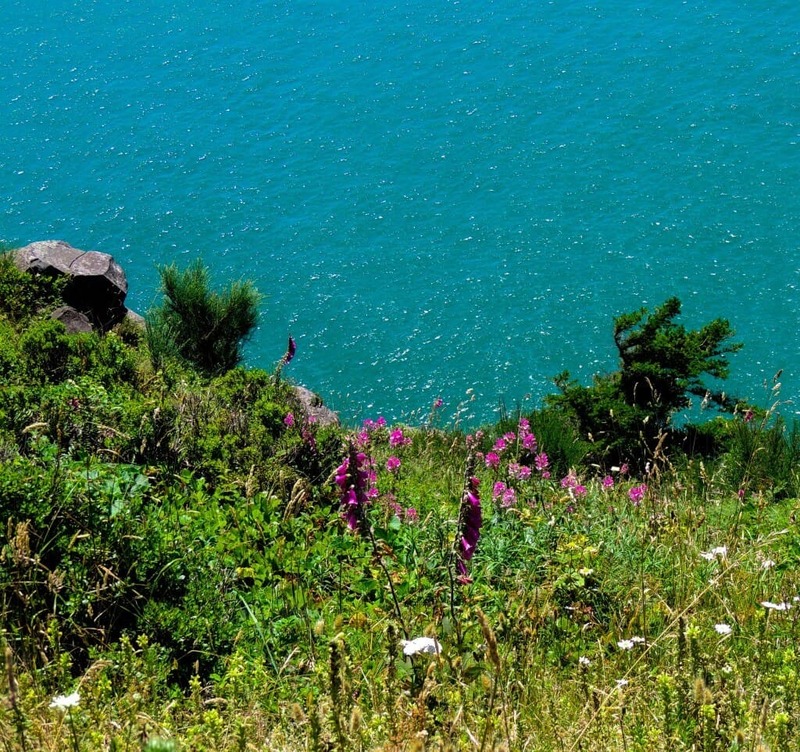 Outdoor Project has some awesome ideas for hikes on the Oregon Coast. And if you’re visiting Oregon with kids, Portland is a fabulous destination. Check out Things to do in Portland, Oregon with Kids by our friends, Photo Jeepers. 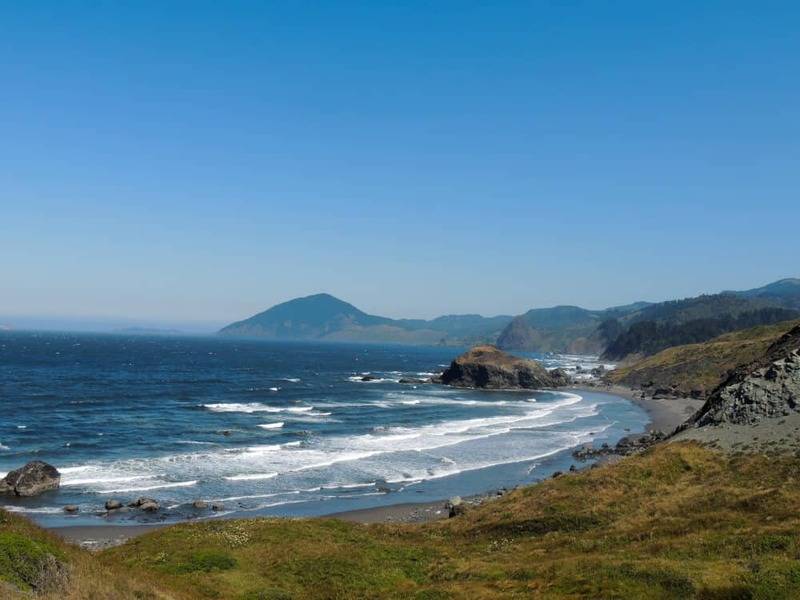 Have you ever taken an Oregon Coast road trip? What are your favorite spots? We’d love for you to share them with our readers! 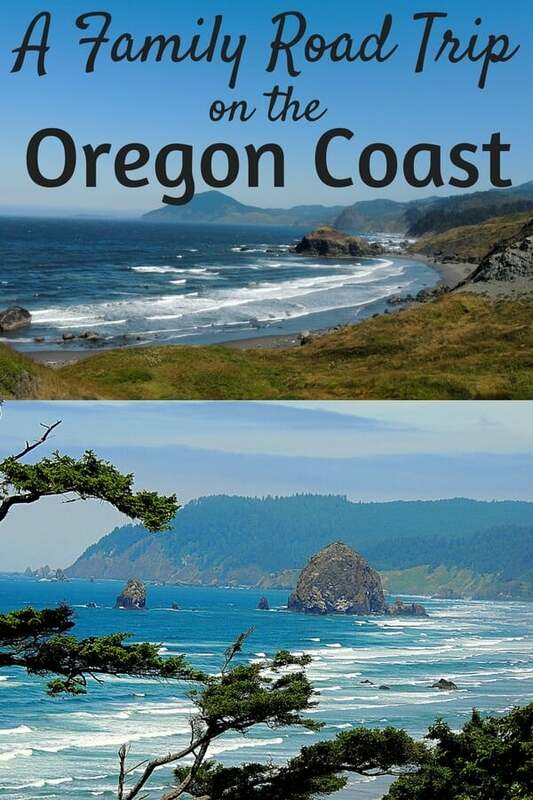 Yup, I’m a long time Oregon resident and our coastline is simply gorgeous! I love going to the coast. Did you get to drive south of Florence? I think the southern Oregon coast is the most beautiful drive. We drove all the way to California, but for some reason we didn’t stop as much during the southern portion. Just means will have to go back!! Like you, I’m an east coast girl at heart (though I grew up and live in the Chicago area…go figure)…but wow, the Oregon coast looks gorgeous! That’s one part of the U.S. I haven’t been to yet. we did an Oregon coast drive many years ago. At the end of June it was pretty gray and nippy, so we did less beach exploring than we hoped. we should probably give it another try — i think it’s great for families. Oh, you know how I love a road trip! Stunning photos…I love Oregon! After driving all around the United States for 16 months, I fondly remember the Oregon coast as among my favorite places. I would love to return for more road trip exploring. I haven’t been to the Oregon Coast yet but I understand why your liked it so much. I have been to many parts of Northern, Central and Southern California and I never get tired of the scenery. There are so many places to discover. Hope I can visit Oregon and Washington soon. Love the Pacific coast! Just gorgeous! Great photos that would have us pack and go! We have a trip planned for June of next year to drive the Oregon coast with friends. And I have done the northern portion – we visited Fort Clatsop in an incredible rain storm which we were told was how it was for them. Can’t wait to see the rest of the coast. Thanks for sharing! I would love to visit the Oregon Dunes! How fun! And, drive the highway as an adult. We did it on a family trip back in the day. Very interesting article and great photos! It’s on our bucket list now! Oregon is one of my favorite places. I’m so glad you shared this. I long to come back one day and drive all over the place! Gorgeous! All those places sound amazing too. I love to be anywhere near the water. Great tips too. I couldn’t find your Twitter username. Would love to follow you with our travel blog. Love the comments about sand from the dunes. I grew up near Lake Michigan sand dunes and always had to vacuum my car out. These look different than what I’m used to and certainly on the bucket list! I love the Oregon Coast! One of my favorite places on the planet. So fun to see it through your eyes. Great photos! Sharing on. Lucky you, Mimi. I’m craving that coastal air. I have never been to the Lewis and Clark National Park, and I have traveled the Coast so many times. =) I can’t wait to explore it more. I grew up in Southern California, but my family lives in Portland, Oregon, so I have been spending more time road tripping up North, and there is so much to see. Thanks for sharing your experiences. Love your blog! The park was really interesting, not just for our kids either. I was so impressed with the staff, the construction of the fort, and the exhibits. You should really check it out. Love the Oregon coastline! I am a Sausalito CA girl and it’s a very similar landscape. We just moved to Charleston SC though and I am loving the totally different beaches here too! I’ve never been to Charleston either. The world is just so big. I’d love to explore it all. What a drive! I seriously need to make road trips more of a priority! Gorgeous… simply gorgeous! 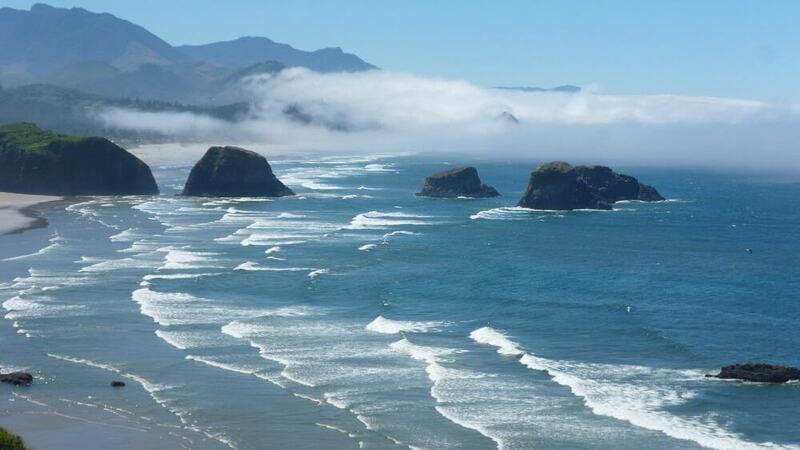 I am on the east coast but if I ever have a chance to go out west – I am going to the Oregon coast…. I love how you captured the water with the mountains and rocks, so lovely! Such beauty! Thanks, Clare. I’m an east coaster too, but I just can’t resist the Pacific Coast. I swear my heart is over in Oregon somewhere. I’ve never been yet, but I always swoon over the photos. Yup, me too. Thanks for stopping over. My husband and I will probably be living in Oregon during the month of April so I’ll have to see if we can check this out. Yay! I think I remember reading on your blog that you guys will be traveling for a while. What a great experience! AWESOME!! I live in Lebanon Oregon so these are all pretty close, I love this beautiful state so much!! Me too, Bethany. Thanks for stopping in. Thanks for visiting, Andrea! It’s an amazing drive – I promise. I’ve done Hwy 101 in California so many times. Now I’m inspired to take it all the way up to Oregon! The landscape is similar, Kari, but the drive has a totally different feel to it. We love driving the coast in California too, though. Such a cool phenomenon, those dunes. I have never been to the Outer Banks. Would love to check out the dunes there. Will definitely stop by a few of these next time I am driving up there. Yes! We had to skip Great Sand Dunes on our trip, and I was thinking that must be a site to behold. Your photos are incredible! Stunning photos. I need to explore more of the Pacific Coast – that area of the country is gorgeous! Wonderful and informative post! Love the Oregon coast and the scenic drive. Canon Beach will always be one of my faves. I went dune buggy-ing too years ago when I was a kid, but I can only imagine what it’s like there now! I grew up in Washington and had family in Oregon, so we’ve been to many of the places you mention. It’s beautiful and rugged coastline, and everyone should experience it! I agree, Tami. We were heading south from Washington to California and couldn’t decide which route to take. When we asked to locals, they all suggested route 5, saving the coastal route took too long. So glad we didn’t listen. Hi there 🙂 – came from Up Up and a Bear after reading the article about Vermont. I’m actually on the West Coast and have done a lot of Oregon before and you’ve hit all the perfect spots. One of my favorites is Seaside. It’s such a quaint town with small shops here and there. Great write-up. Thanks for stopping over, Tiffany. We drove right past Seaside because there was so much traffic when we were driving through. I guess we’ll have to give it another go. I’m really missing the east coast. February is not my favorite month in Vermont. I know it and I love it – and I hope to visit again soon. You’d be disappointed by our snow this year, Hung. We haven’t had much at all.